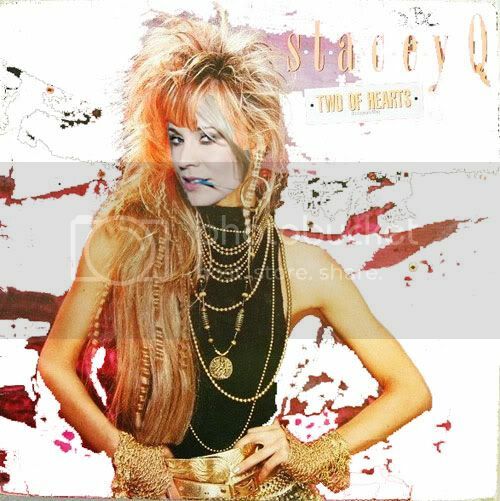 This is a canadian girl who recently won an online beatbox championship..
Stacey Q is most famous for her 1986 hit "two of hearts" and is still currently producing and preforming dance music to this day. the title of the new Stacey Q album "Color Me Cinnamon" will be released, in the fall 2009 or early 2010. the highly-anticipated new album, her first studio album in 12 years, Stacey Q dabbles in electro, breaks and pop stuff, its real cool. Check out the Great videos! NEW Awesome video by flairs!